Saoirse Ronan and Laurie Metcalf. Photo by Merie Wallace, courtesy of A24. With the release of her feature directorial debut, Lady Bird, Greta Gerwig delivers the goods and offers a fresh take on high school youth. Saoirse Ronan stars as Christine “Lady Bird” McPherson, a high school senior who could rival Hailee Steinfeld’s Nadine in last year’s coming-of-age dramedy, The Edge of Seventeen. She’s a strong, independent woman and her personality is way too strong for her mother, Marion (Laurie Metcalfe), but she gets along fine with her laid-off father, Larry (Tracy Letts). 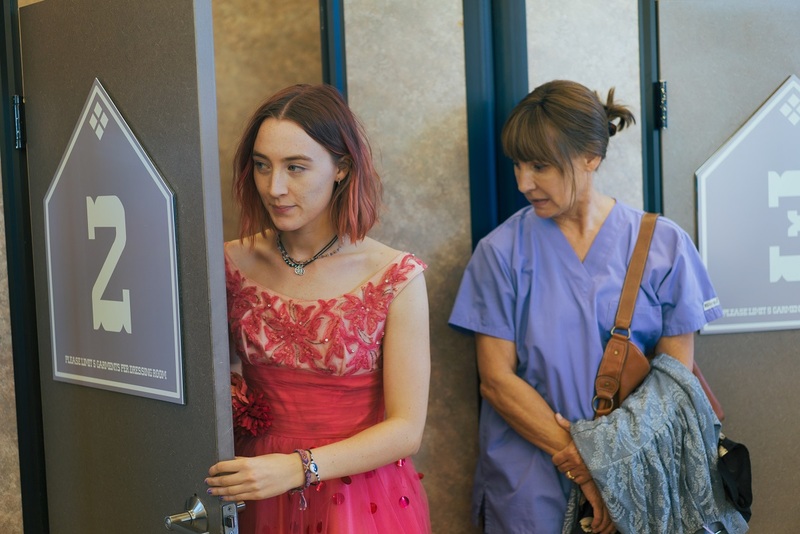 Lady Bird, who insists on being referred to as such, is dead set on going to college in New York, much to her mom’s dismay. She doesn’t want to be in California any longer, least of all close to her parents. Senior year comes and goes and Graduation Day arrives rather quickly. Best friend, Julie Steffans (Beanie Feldstein) drifts apart as Lady Bird finds the favor of Jenna Walton (Odeya Rush). A blooming romance with Danny O’Neill (Lucas Hedges) gets replaced by Kyle Scheible (Timothée Chalamet). Rather than focus on boys, it’s the relationship with her mother that really matters. Ask any woman what their relationship is like with their mother and nine times out of ten, it will be no different than Lady Bird and Marion. It’s a complex relationship and it wouldn’t work without Ronan and Metcalfe playing off of each other from the very first scene in the car. They are products of two different generations and this shows through in not just their differences but the frequent fighting (newsflash: it’s never a new fight, just a rehash of a previous one). Whereas Lady Bird and Marion are frequently fighting, it’s her father who takes on the gentle role and serves as her hero. Letts brings a sense of heartwarming richness to his performance of a man who just wants to see his family love each other in the way that he does. The film is no doubt a love letter to Gerwig’s hometown of Sacramento where Gerwig grew up, maybe even on the “wrong side of the tracks” as Lady Bird tells people where she lives. Even though it may be the state capital, Sacramento is not a city that sells itself in the way that Los Angeles or San Francisco would. Yet it’s Lady Bird who decides to lie at a college party when asked where she’s from. Is she that ashamed to be from Sacramento? Maybe. Gerwig is aided by cinematographer Sam Levy in realizing her film and capturing Sacramento’s beauty. Editor Nick Houy works in a way that could make him to appear to be another writer because the film is so beautiful. Jon Brion’s score makes for an old-fashioned melodic touch. It’s not a score that plays along in the background, it’s one that’s there in the moment. Meanwhile, Ronan brings to the character what nobody else can bring. Every little move and body gesture is all Ronan – the film just doesn’t work without her. 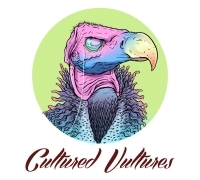 The film is unique and offers a lot of fun — even surprising– moments of any film or television series that takes on the adolescent years and that’s after last year’s aforementioned dramedy. The smartly-written screenplay has a lot of humor and floors audiences by offering the edgiest, jaw-dropping abortion joke in recent cinema history. Lady Bird will stay with you long after the credits roll, helping it to become one of the definitive coming-of-age movies of our time. A24 opened Lady Bird in New York and Los Angeles on November 3, 2017. The film expands into more locations on November 10, 2017.